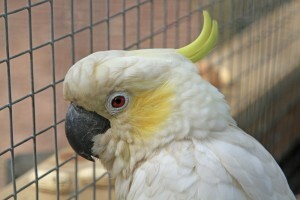 The formal up-listing of all species and sub species of the Sulphur Crested Cockatoo (Cacatua sulphurea) and the Lilac–crowned Amazon parrot (Amazona finschi) to Annex A of the EC CITES Regulation came into force on the 12 August 2005. This means that both species will now require Article 10 Certificates to allow their commercial use. If you wish to apply for certificates then you must provide with your completed application, details of the bird's origin and how it was acquired. Each application will then be considered by Defra individually on its merits. You do not require an Article 10 Certificate if you only wish to keep the bird as a pet and will not be using it for commercial purposes. Defra aim to process most complete applications for certificates and permits within 15 working days, with the remainder processed within 30 working days, so you should allow this amount of time for your applications to go through.